It’s time to check your eggs because they might be part of a recall over concerns of contamination. Food Standards Australia New Zealand has issued a warning relating to eggs from Bridgewater Poultry farm. There are fears that the batches could be affected by Salmonella Enteriditis, a exotic strand of salmonella. The recall has prompted supermarket giants Woolworths and Coles, along with other independent retailers, to remove the stock from their shelves immediately. 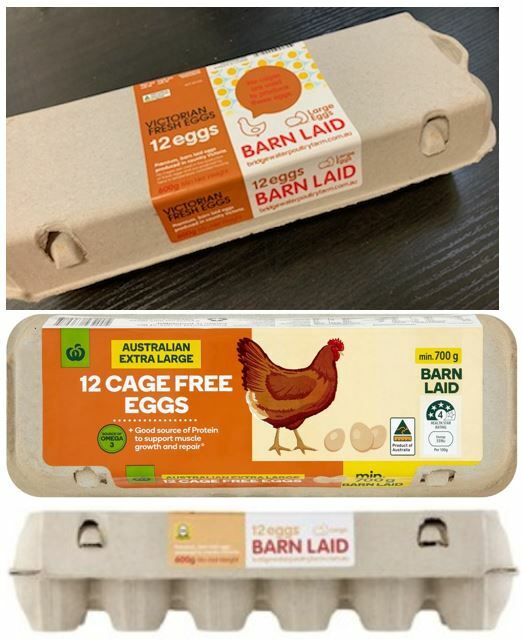 The warning is in regards to the following brands, Woolworths 12 Cage Free Eggs 700g, Victorian Fresh Barn Laid Eggs 600g, Victorian Fresh Barn Laid Eggs 700g, Victorian Fresh Barn Laid Eggs 800g, as well as Loddon Valley Barn Laid 600g in Victoria and South Australia only. Any of these brands with the following best before dates should be immediately returned to their place of purchase. Best Before BB 20 MAR 19, 23 MAR 19, 27 MAR 19, 30 MAR 19, 3 APR 19, 6 APR 19, 10 APR 19, 14 APR 19, 17 APR 19, 20 APR 19, 24 APR 19, 27 APR 19, 29 APR19. Symptoms of salmonella poisoning are headaches, dehydration, nausea, fever and diarrhoea and in sever cases it can lead to death. Consumers are encouraged to seek medical advice if they are displaying any of these symptoms.